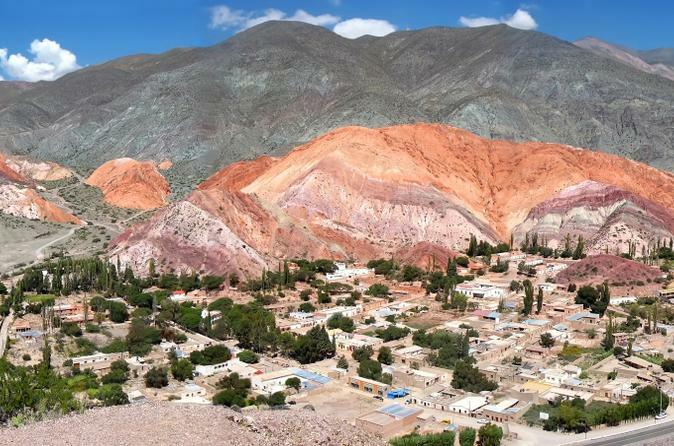 Explore the sculptured mountain valley landscapes of the Quebrada de Humahuaca, a UNESCO World Heritage–listed gorge, on this full-day tour from Salta. Traveling the same route as the Incans once did, marvel at the serrated canyons and the ever-changing array of colors rippling down unusual rock formations. Stop at indigenous villages dotting this valley, including Purmamarca, Tilcara and Humahuaca, and visit adobe churches and ancient ruins. See sights in San Salvador de Jujuy before returning to Salta via the scenic and adventurous Route 9. 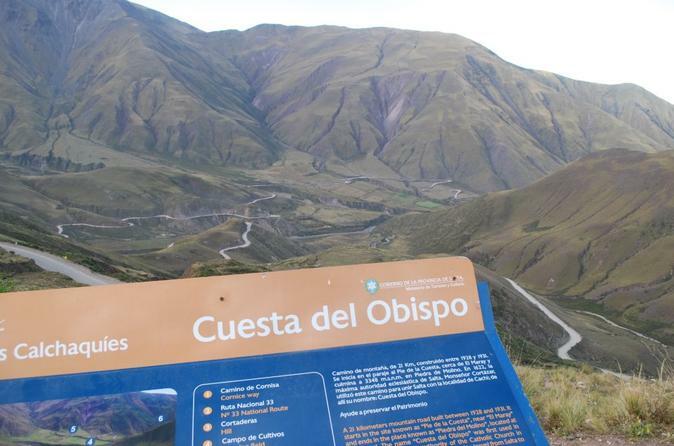 In this 12-hour tour we will discover one of the most breathtaking landscapes that Salta offers “La Quebrada de las Conchas”. This amazing experience gives you the opportunity to try some delicious goat cheese and wine. 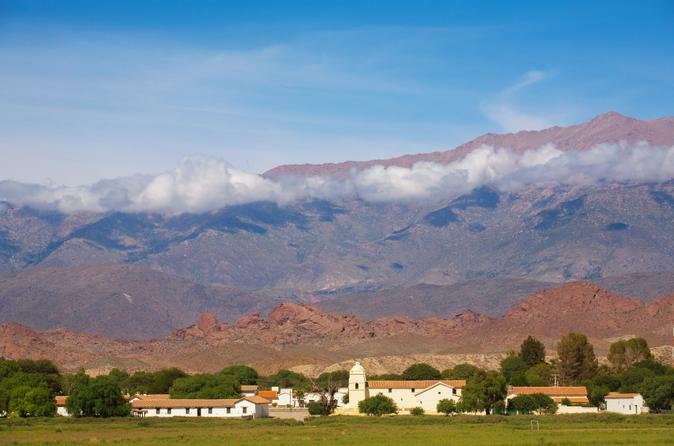 See the incredible natural attractions of the Calchaquí Valley on this ‘wow’-inducing day trip from Salta to Cachi! Enjoy a comfortable and scenic round-trip drive to the charming village, accompanied by a knowledgeable guide who describes the terrain along the way. From gorges to bridges to snowcapped Andean mountains, the breathtaking landscape will fill up all the space on your camera. Make several stops — including the town of Payogasta — until you reach Cachi, where you can explore on your own. Visit the Archeological Museum if you wish before returning to Salta via Los Cardones National Park. 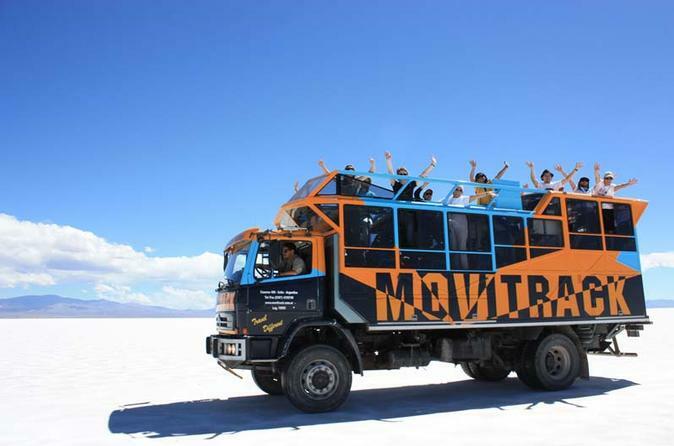 Get on board of our special 4x4 truck with open roofs and set off on this amazing expedition to the heights of the Puna, the Salt Falts and Purmamarca town. Come and discover the charm of one of the best-preserved corners of colonial life in our country. Admire the magnificent natural scenery of the North, declared a UNESCO World Heritage Site, and wander through traditional villages where time seems to have stopped. Meet local artisans and their unique crafts such as tapestries and textiles; sheep, llama or alpaca wool ponchos; gold and silver. Get your bearings on this 3-hour Salta city tour, perfect for first-time visitors. 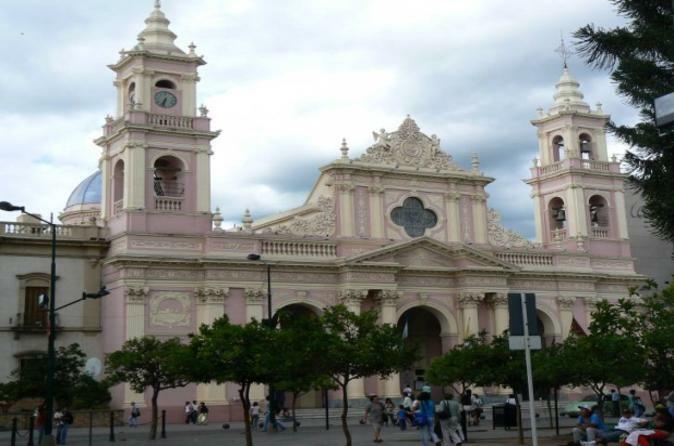 See top attractions in this thriving metropolis with cultural museums and jewel-like Neoclassical buildings such as the Cathedral of Salta and San Francisco Church. Ascend San Bernardo Hill for panoramic views, visit sights commemorating Argentina’s war for independence, shop at the Artisan Market and travel to the village of San Lorenzo, a subtropical retreat for the wealthy. Round-trip transport from most Salta hotels is included. Experience the best of Argentina's Salta province with this Super Saver that combines two fabulous day trips through the Calchaquí Valley! 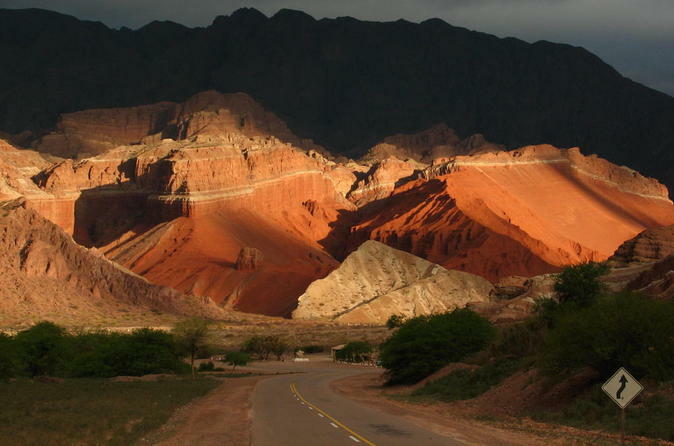 You'll enjoy two stunning drives that take you past mountain villages, deep gorges and dramatic rock formations with names like Devil's Throat, and you'll have free time in the towns of Payogasta, Cachi and Cafayate. Plus, take a winery tour and sample Argentine varietals like malbec and torrontés. On both tours, you'll be accompanied by a knowledgeable guide. This Super Saver takes place over two days; the order of the tours is determined based on availability. 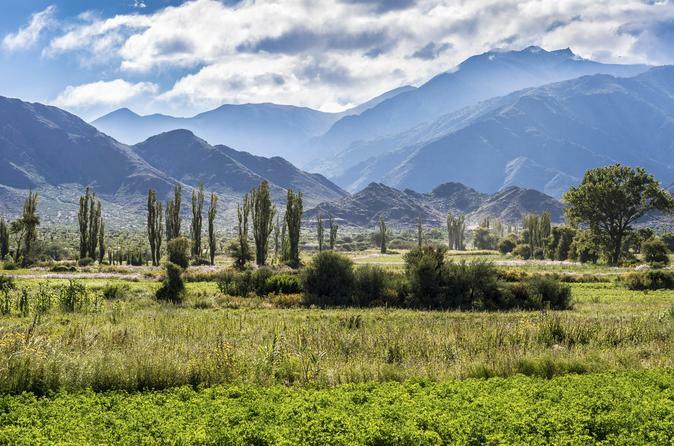 Cachi, by far, is one of the most complete and beautiful excursions in the north of Argentina. 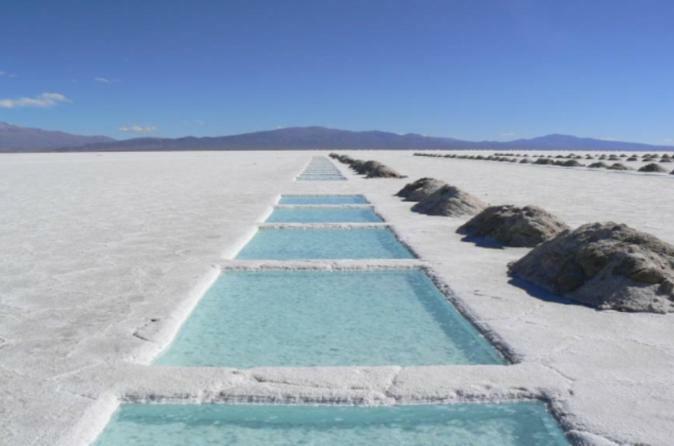 If you are planning to travel soon to Salta you must do this trip. You´ll see various combinations of landscapes starting with subtropical jungle, different gorges, high altitude flora and fauna, along with incredible mountains. Don´t miss this magical trip to the beautiful town of Cachi. 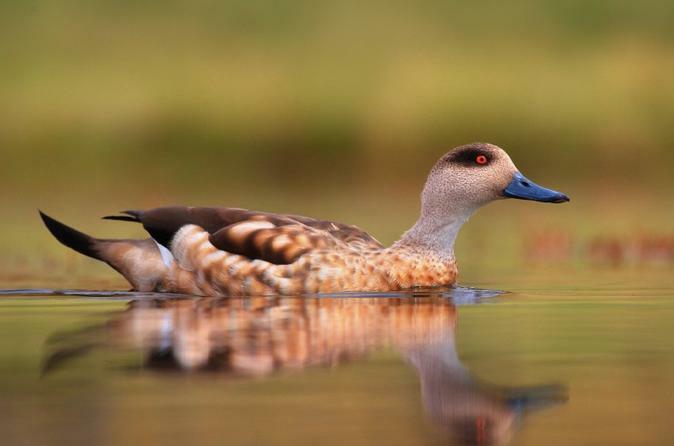 Visit the most important flamingos reserve of the NOA (Argentinean North West) traveling across the Puna region. From Tilcara, you will first stop at Abra Pampa, the capital of the Puna. Then you will continue throughout this particular landscape to arrive and enjoy a unique scene. 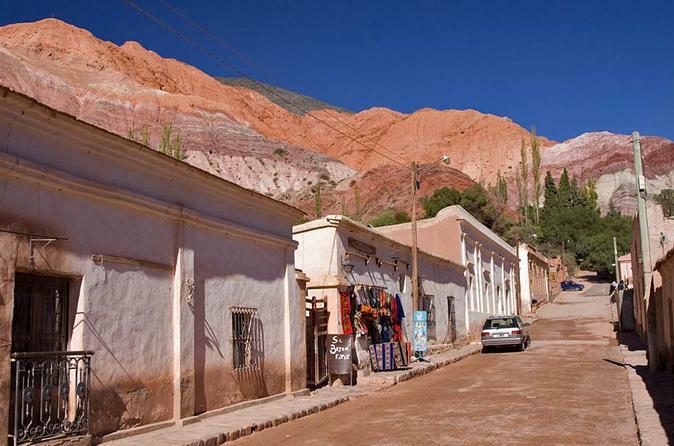 Embark on this 10-hour tour from Salta to Purmamarca, accompanied by an English-speaking guide. Climb Cuesta de Lipán and move down the large Salinas to observe workers in their daily lives. Return to your hotel after getting the opportunity to marvel at the Seven Colors Hill. 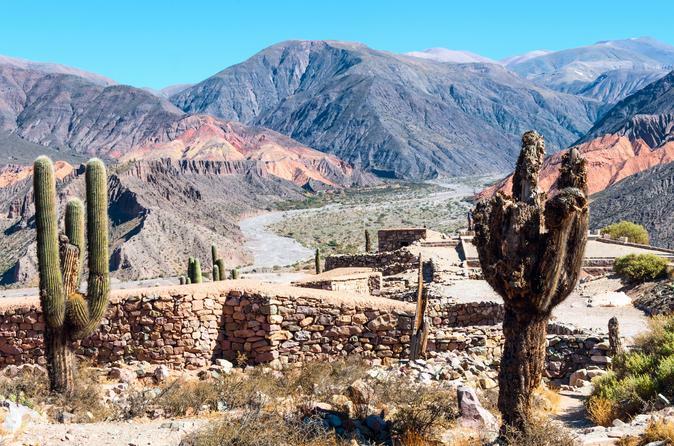 Discover two of Argentina’s most spectacular natural attractions with this Salta Super Saver that combines day trips to the Humahuaca Valley and the Calchaquí Valley. 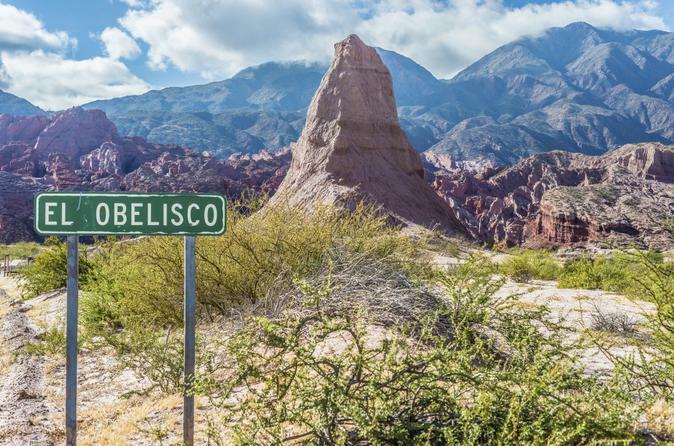 Over two full days, see stunning rock formations and gorges, visit mountain villages, admire colonial churches, marvel at multicolored hills and sample delicious Argentine wine. On both day trips, you’ll be accompanied by a knowledgeable guide. This Super Saver takes place over two days; the order of the tours is determined based on availability.